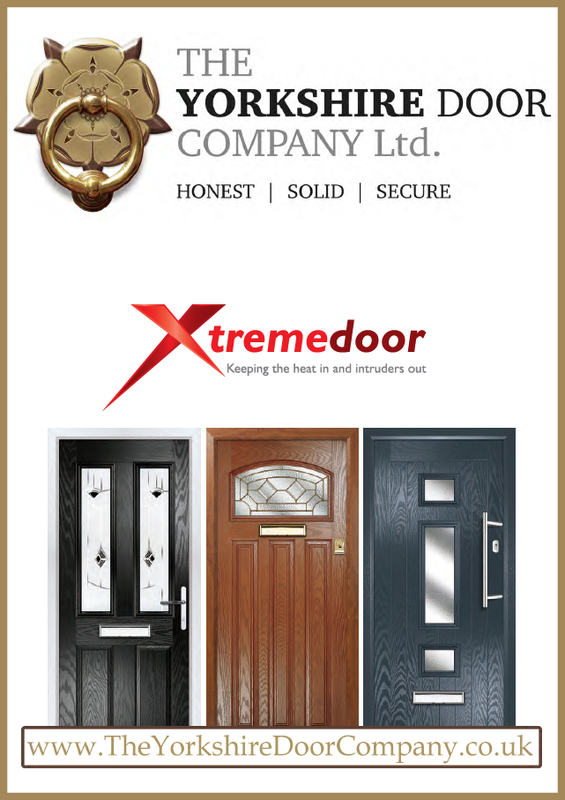 Whether you’re looking for a new front door, back door, fire-resistant door, french door, patio door or bi-fold door, The Yorkshire Door Company should be your first call – well, the clue is in the name isn’t it? What makes our doors so good? 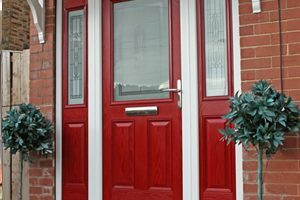 Our entrance composite doors offer the look and feel of a timber door without any of the inherent problems, such as cracking, bowing or twisting. 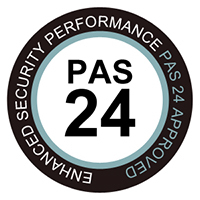 They have a high-density foam core which offers excellent strength and thermal performance, and a durable Glass Reinforced Plastic (GRP) skin to protect from the elements. GRP is the same materials that is used to make the hull of lifeboats – demonstrating just how tough it really is! And unlike timber, composite doors are incredibly low maintenance – an occasional wipe over with a damp cloth will restore it to it’s original finish. All of our uPVC doors are available in various whites to suite most profiles and a number of woodgrain finishes including mahogany, light oak and rosewood. 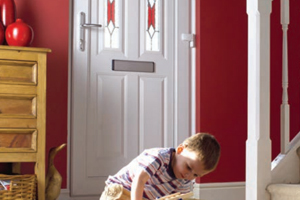 All the door panels comprise of two PVCu skins, pressure bonded to a core material of E.H.D.F.R.A polystyrene (extra high density fire retardant additive) using a specially formulated adhesive that is both heat and moisture resistant. 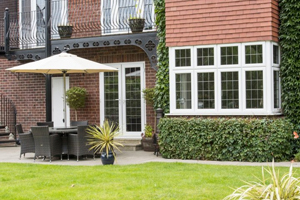 Our uPVC French doors are available with side screens to match and include double handle set as standard. 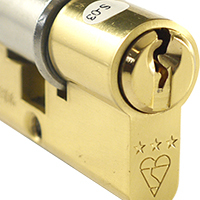 Shoot bolt extensions to the master door are an optional extra. 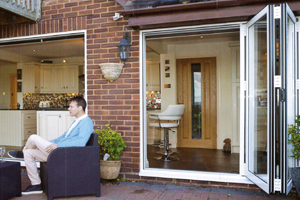 Bi-fold doors are the ideal way to open up your home whilst keeping the elements out. 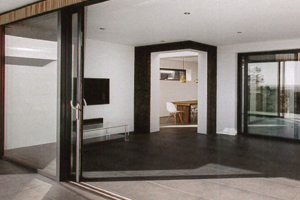 Our stylish and practical bi-fold doors are manufactured to your specification offering you a choice of door configuration, colour and accessories. Bi-fold doors enable you to expand your living space by opening up wide expanses of your external walls to your outside space, whilst at the same time keeping the weather out and the heat in during cold months, making bi-fold doors the perfect addition to your home. Let the outside in with a bi-fold! Let the light into your home with high performance aluminium sliding doors. Our range of inline or lift and slide premium aluminium doors offers high performance complemented by stunning design, adding a modern and stylish look to your home, opening your living space to the outside. Combining unique system design with a range of configurations, they will enhance your home whilst keeping the weather at bay. The Yorkshire Door uPVC patio door offers an ideal and inexpensive solution for your home, with minimal frame design to let the maximum amount of light flood in. 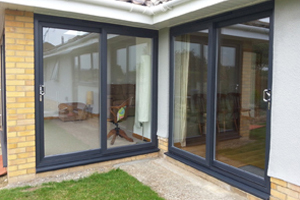 Each patio door is available with 2, 3 or 4 panes to suit your requirements. 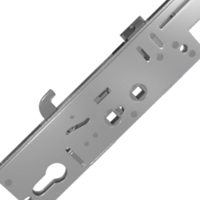 It features a stainless steel, easy glide track system; low line gaskets for a larger visible glass area and concealed drainage and double woolpiling for improved draft proofing. Built to the highest standards, our patio door range combines flexibility with design and security to ensure your comfort and peace of mind.